This package is only $499. 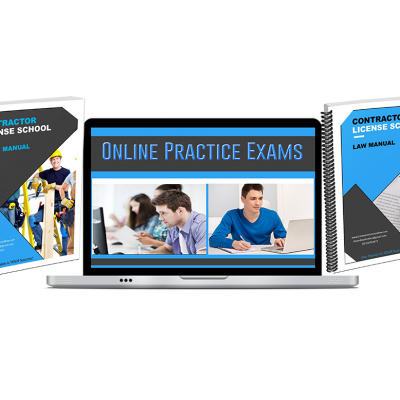 With Online School Premium, you’ll get all the resources you need to prepare for the California Law and Trade state exams you have to pass to become a licensed contractor. You get access to our 4 law classes. 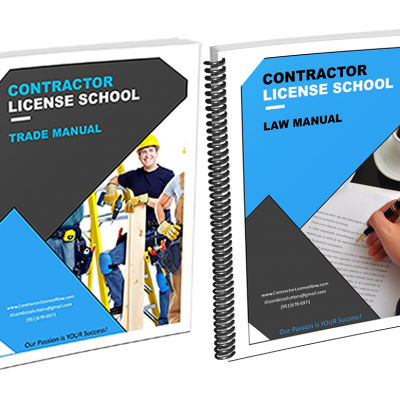 These classes include everything you need to know to pass the Law Exam in the state of California. The classes are recorded video of our actual classes that we teach in Southern California on a weekly basis. $499 a little too much for you right now. 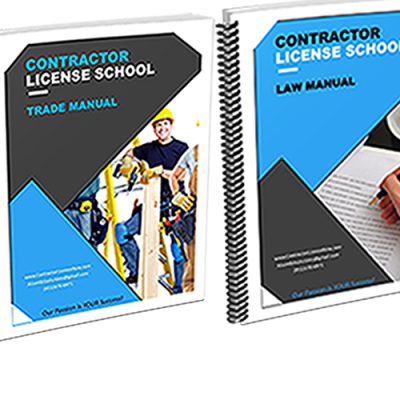 You can enroll in our ONLINE SCHOOL LITE program and save $100. 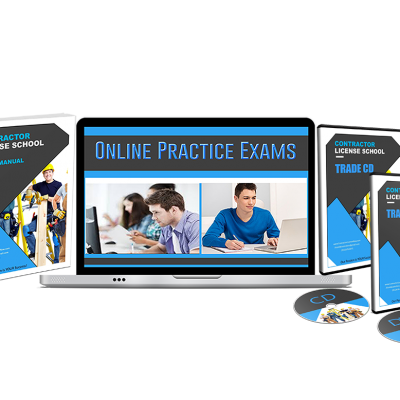 The main difference in this package is you don’t get to access the teaching in video format. The Law will come in 4 MP3 files (which are the 4 main classes — all that you need). The Trade will come in audio CD format, respectively.